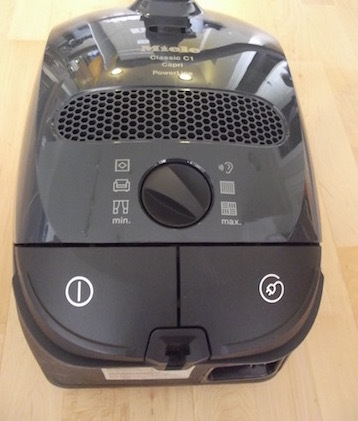 I use this Miele Capri Canister in my healthy house cleaning service for a customer with hard floors and low area rugs. A round brush, upholstery nozzle, and crevice tool come with every model. Feel free to ask about Capri and other models in my comment section following this post. Canisters, vs uprights or backpacks. Canisters are agile in tight, cluttered spaces, like in most homes I see. Uprights and backpacks are better for wide-open, streamlined spaces, like hallways in institutional settings. Packed with healthy features, especially for indoor air quality and ergonomics. Quiet, too! All are must-haves for any healthy house cleaning service. Use self-sealing disposable bags. I hate waste! But hate spreading toxic dust even more. Empty a bagless vac or cloth bag, and you’ll see what I mean. A filthy mess not befitting a healthy house cleaning service. Highly efficient to use. Time and labor are money, for me and my customers alike. Why waste either? Easily maneuverable. Go ahead and pull the chassis behind you, without wearing out the hose. Agile at detailing. If you don’t want detailing, by the way, don’t hire a healthy house cleaning service. Detailing is all we do! Tough on dust, hair and grit. This takes a strong motor, great suction, and the right combination of brushes. Rugged and durable, needing the fewest repairs. These vacuums stand up to real-life cleaning, year in and year out. Are pricier up front, but protect you and your loved ones from toxic dust and allergens. A healthy house cleaning service delivers no less. Spew the least dust. All models come with filtering bags and pre-motor filters. True HEPA filters are included or optional. And several models are sealed with a rubber gasket to keep dust from leaking. Multi-task better and faster. Almost seamlessly, you can switch between higher and lower surfaces. Or nearer and farther. And detail with ease. Have lasted longer than any other brand I’ve used. And come with extra-long warranties. A Miele I helped a customer select has lasted her over a decade, with only three trips to the repair shop. With this Miele Capri, you can switch between surface types using the dial in the center. That means choosing suction levels. Choose any surface from carpets (max suction) to upholstery (minimum). I use the carpet setting for most surface types— ask me how that works in my comment section! I haven’t tried the following canisters directly. If I get the opportunity at some point, I’ll report back! ProTeam commercial models. ProTeam’s a leader in commercial canister vacuums. and indoor air quality education. Among important features are 4-stage filtration, large-capacity filters, and quiet operation. I hope to try a ProTeam canister model sometime soon! Clean Team NaceCare Canister— PVR 200-Henry Deluxe. 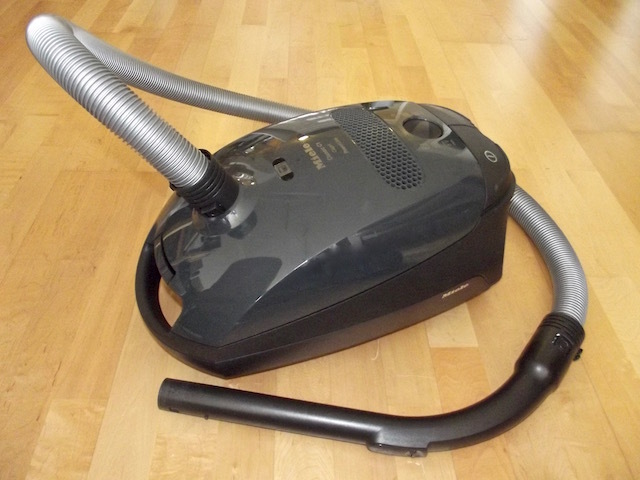 One of my customers owned Clean Team’s earlier version of this vacuum,”The Big Vac”, with many of the same features. I used The Big Vac for two years on the job. Overall, I found it better than most other canisters I’ve tried, except for Miele. Kenmore Elite Canister. I vacuumed an entire a two-story house for several years with an earlier version of this model, which shares many of the same features. Definitely an efficient HEPA canister. However, I’m hoping the newer model is more ergonomic than the one I used. Healthy cleaning, and thorough cleaning, go hand in hand. Invest in a vacuum that does both efficiently, and lasts. If you hire a healthy house cleaning service, or run one yourself, you can’t afford not to. You may even save money in the longer run!